These classes are ongoing and run in 6 week increments. The Health forms benefit many aspects of the body and overall health. The Rhythm Form is the first form taught. The Rhythm Form is a 0 (zero) impact cardiovascular workout, it does not jar any of the joints, knees, back, etc. Therefore, this form is ideal for young and old alike and for those who would like a good cardiovascular workout for those who are seeking something less jarring to their bodies. The Postures Form is the second form and is excellent for those who are seeking exercises to improve balance, increase muscle and tendon strength and help build and strengthen the skeleton (which the Rhythm Form also helps with). This form strengthens the body through a range of motions and postures. This form builds on the previous form. The Breath From is the third form (this form can also be learned first depending on the needs of the student). This form teaches the student proper, deep breathing. When the breath is correct many problems are corrected and all aspects of health of body, mind and spirit will be benefited. 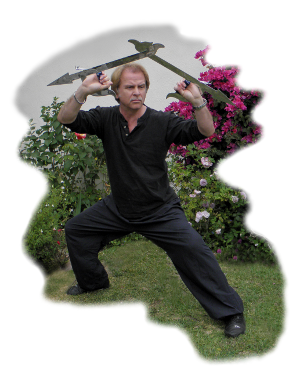 This form is a "Chi Kung" (energy work) form which will help you build your internal energy. The Gland Form is the forth form taught. The Gland Form benefits the skeleton and also the glandular and lymphatic systems of the body. This is a good for to do when you are slightly sick as it will help your lymph system work out the bad bacteria. If you are not sick this is still a good form as it will help keep the lymphatic system working and doing it's job and moving out any potentially bad bacteria. The Kidney Form is the fifth and last form and is kept for the last is it is more physically demanding of the student. It also benefits the skeleton, the overall strength and helps with the other forms to benefit the internal energy.